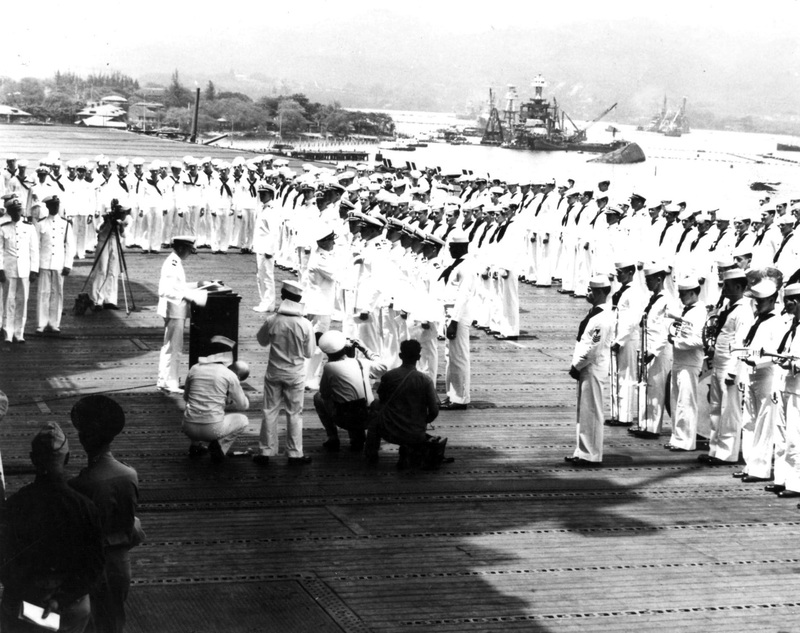 » Admiral Chester Nimitz aboard USS Enterprise to present awards, Pearl Harbor, Territory of Hawaii, 27 May 1942. Note capsized USS Oklahoma and sunken USS West Virginia and USS Arizona in the background. This photograph has been scaled down; full resolution photograph is available here (1,900 by 1,504 pixels).